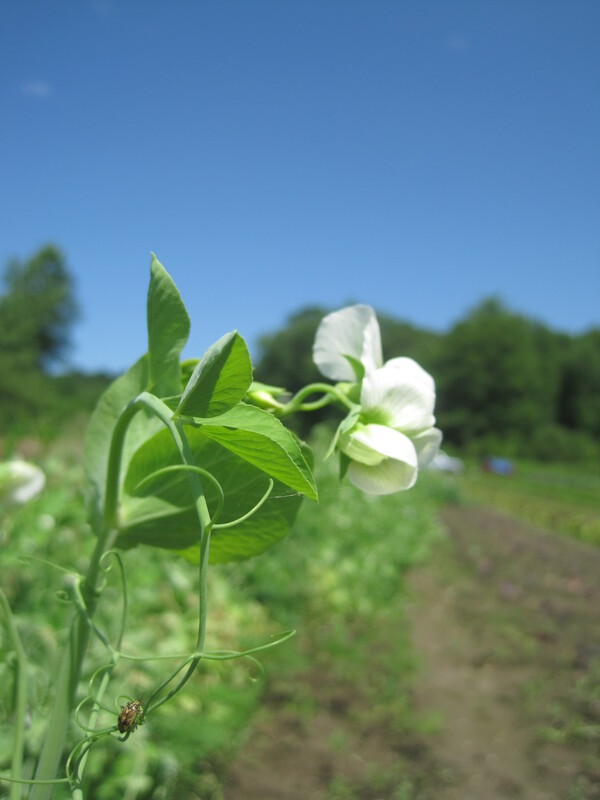 We are excited to have some CSA shares available for the 2013 season! What the heck is a CSA? CSA stands for ‘community supported agriculture’ and is essentially pre-paying for a weekly share of produce during the growing season. Farmers receive income for the purchasing of early season essentials : seeds, tools, soil amendments, etc. It is a mutually beneficial relationship. Option #1 is $400-$600 and should feed a family of 3-4 who a decent amount of veggies, or 2 who eat tons of them. This is roughly $20 to $30 a week. Option #2 is $250-$300 and is meant to be a “half share.” This size should feed 2 folks who eat a decent amount of veggies, or one who eats lots. This is roughly $12-$15 a week. By signing up for a share you will receive a weekly box of fresh picked produce running from mid June (weather dependent….) to late October. We are providing a sliding scale because we believe everyone should have access to healthy food, regardless of income. Please choose a price that you feel is affordable for you or your family. If you are interested in a share and the lowest price is still too steep, feel free to contact us so we can try to work something out. We will be growing lots of the old favorites like tomatoes, potatoes, and carrots as well as some fun heirloom varieties and less seen CSA box items like escarole and radicchio. Flowers will also be included when they are in bloom and available. Please feel free to contact us with any and all questions. You can email us at flyingcolorsfarmcsa@gmail.com.